A car is not a “buy it, use it and forget about it” type of investment. If you want your investment to last, you need to spend a little time and attention on it. Just because you are a woman doesn’t mean you can’t give your car the TLC it needs. Here are several maintenance essentials that all women should know how to do on their cars. 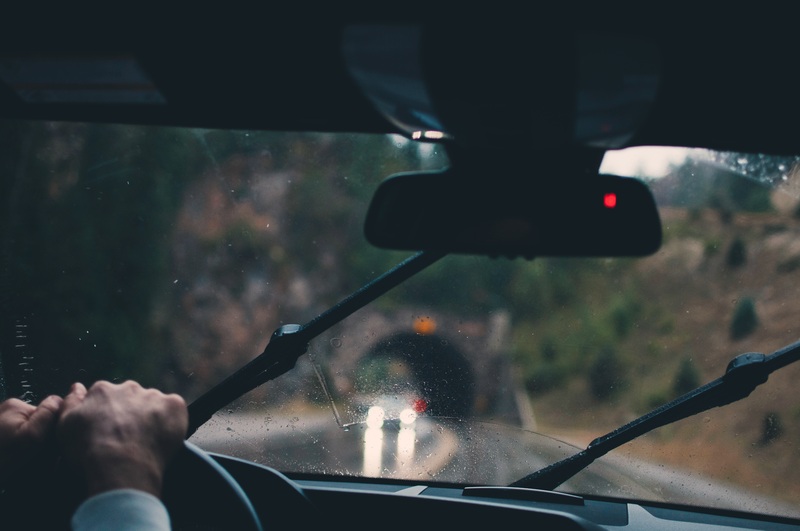 Getting caught in a rain or snowstorm without proper windshield wipers or enough windshield wiping fluid is dangerous. However, it’s easy to take care of these maintenance tasks on your own: First, check the windshield wiper fluid reservoir every other time you fill up the car with gas, and top it off when it’s starting to get low. You can also wait for the indicator light to come on, keeping a bottle of fluid in your car to use when that happens. Next, make sure you replace the windshield wiper blades when they start to get too old. When the wiper blades aren’t clearing the window well, it’s time to change them. Go to your auto store and ask the employee which blades you need, then follow the directions on the package to install them. It’s a pretty simple and cheap fix, and will keep your visibility clear. Without good tires, you aren’t going anywhere. Learn how to check the tire pressure, and consult your vehicle’s owner manual to see what the proper tire pressure is for your vehicle. Then, make sure you regularly check the pressure and get the tires pumped when needed. Proper tire inflation will make your ride more comfortable, increase your car’s fuel economy, and reduce your risk of having a flat tire. However, a flat tire can happen to the best of us, so it’s important to learn how to change one. This is actually not all that complicated, but you should practice at home before you face a side-of-the-road emergency. Being able to stick your spare onto your vehicle when you have a flat tire will prevent the unnecessary costs of a tow truck. Place the cars near each other and turn them completely off. Connect the positive terminal on the dead car to the red wire on the jumper cables. Then, do the same on the other car. Next, connect the black clamp to the negative terminal on the good battery. Attach the black clamp to a piece of grounded metal on the dead car, such as a bolt near the battery. You can connect it to the negative post, but this is riskier. Start the good car, then start the dead car and let them run for about five minutes. Don’t assume that the oil change you get every 3,000 miles is all you need to do. It’s possible for your oil to leak, and this could lead to engine problems and costly repairs if not dealt with properly. Learn how to check your oil and where to add some, if your car needs it. To check your oil, find the oil dipstick and pull it out. Wipe it off on a clean rag, then put it back in. Pull it out a second time, and see how high the oil film reaches. It should be between the “add” and “full” lines. If it is nearing the “add” line, add some of the oil your car uses to the engine’s oil compartment. To find this, look for a screw-off cap somewhere on the largest part of the engine. It may be labeled “oil cap,” but it may not. After adding, check oil levels again, replace the dipstick and you are done! Remember, being a woman does not mean you have to neglect car maintenance. Learn these steps, and your car will reward you with great service for many years. Author bio: Reid Zaritsky is Senior Vice President of Capital Auto Auction, a family-run business since 1988. He has been with the company since 2009 and has a background in science and engineering. Capital Auto Auction focuses on finding the right vehicles for families of all sizes. As a woman, it is important that you properly check your car before hitting the road. Check the tires, the engine and the oil to make sure that you will be experiencing a comfortable ride. Proper maintenance of your car is very important to avoid getting problem on the road. Frank you are absolutely correct. When I got my first car, the first thing my dad did was go over the basics and how to change a flat tire. Now we are living in such a age where a woman is capable of getting more success than a man. But in some cases they are slightly behind the men. % of awareness in women regarding car maintenance is much less than the % of men. So, I feel that if a woman is able to drive a car then she should have to earn some basic knowledge regarding car maintenance and I think your article is of that kind which will help a woman because it is dealing with some fabulous tips related to car maintenance that a woman should have to know. Thus, I want to suggest each woman that gaining more knowledge about car maintenance is good but it is better to know at least above things than to know nothing. Thank you for sharing such an unique and nice concept. You’re very welcome. So glad you liked it. Always remember carelessness costs more. If your vehicle’s windshield wiping system, tires, brakes, engine oil and battery are in top condition, then wherever you go you will not face any difficulty. All of us irrespective of gender should aware of common maintenance tips. The ideas are helpful to make our vehicle function smoothly and also in cutting our expenditure on repair. The saying ‘Prevention is better than cure’ senses good here. Therefore, we have to follow the advises of experts strictly. Regardless of gender we all should have an idea of basic car maintenance procedures if we are going to own a car. In my view if a woman is able to drive a car, then she should gain some fundamental knowledge about car maintenance. This is a very useful article which would teach women about some fabulous car maintenance tips that a woman must know. The women should know how to check oil level & checking of tire pressure, check if the windshield wiper is functioning properly or not and how to jump start the car. The women must follow the advises of car experts strictly.